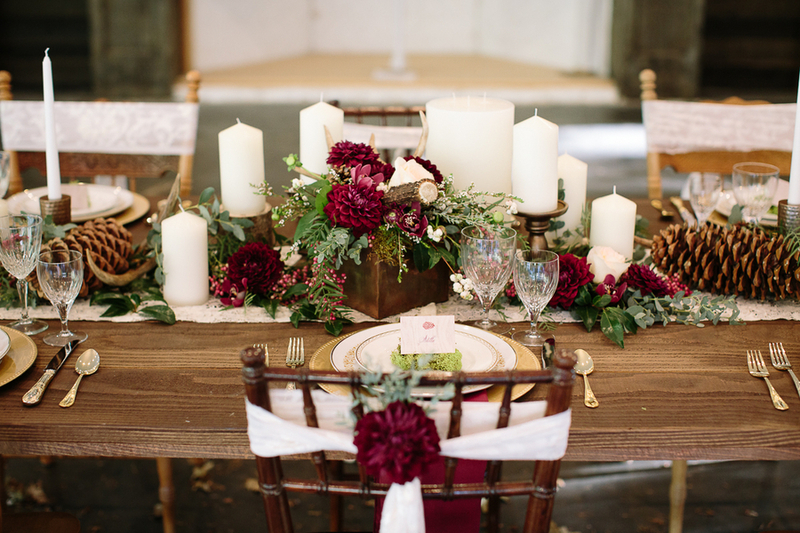 Today's elegant woodsy styled wedding with it's deep red theme is absolutely beautiful. 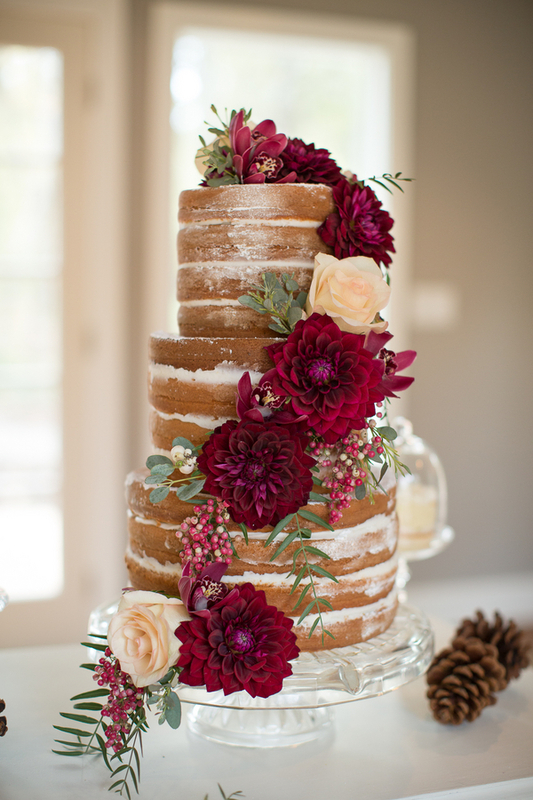 And, those naked wedding cakes, especially the mini ones? YUM!!! 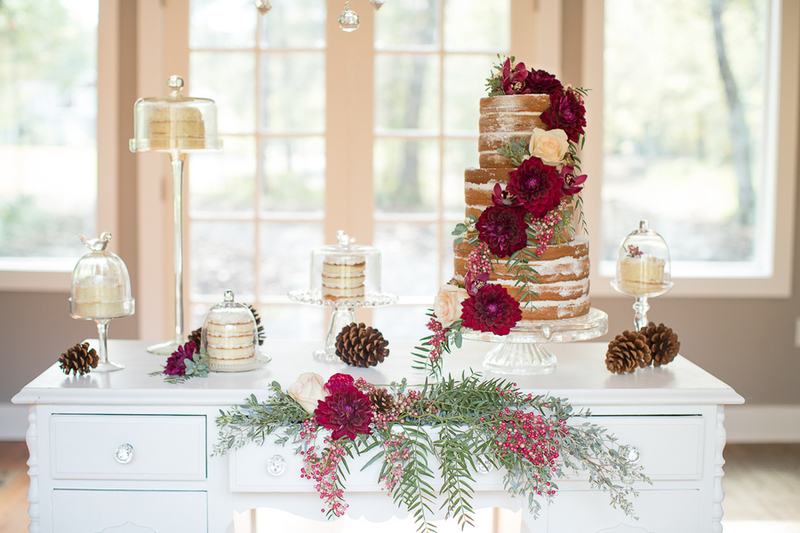 I love the addition of the pine cones being used to bring the woodsy feel into the elegant dessert setting. 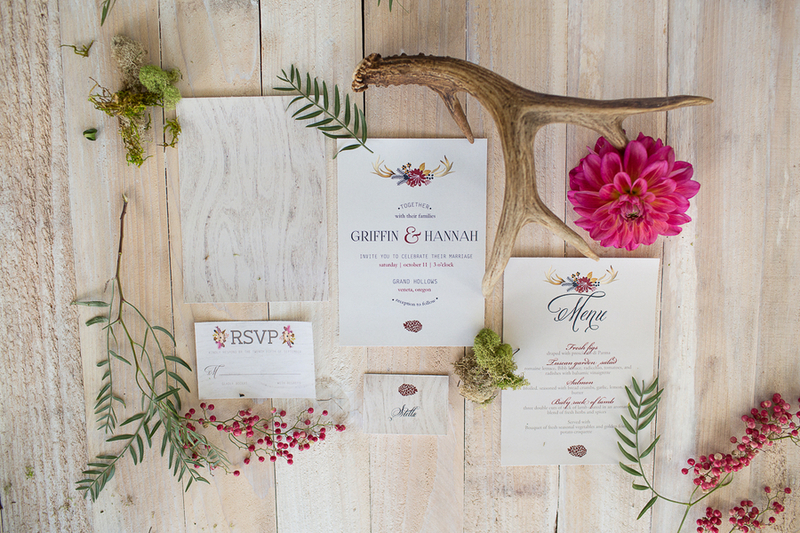 The gorgeous photography is by Ashley Cook Photography.